The late judge's sister says in an interview to Caravan magazine that the then chief justice of the Bombay high court also offered her brother a house in Mumbai. New Delhi: In the months leading up to his sudden death three years ago, the judge who was hearing the Sohrabuddin fake encounter case in which BJP chief Amit Shah was the prime accused was allegedly offered a bribe of Rs 100 crore for a “favourable” judgment. The sister of Brijgopal Harkishan Loya – who presided over the CBI special court in the matter till his death on December 1, 2014 – told The Caravan that some weeks before his death, the judge had confided in her about the bribe offer which she alleged had been made by the then chief justice of the Bombay high court, Mohit Shah. This, she said, had also been confirmed to her by Loya’s father Harkishan. Shah, she says, also allegedly offered Loya a house in Mumbai. Caravan magazine says it reached out to Mohit Shah for his reaction to this accusation but did not receive a response. 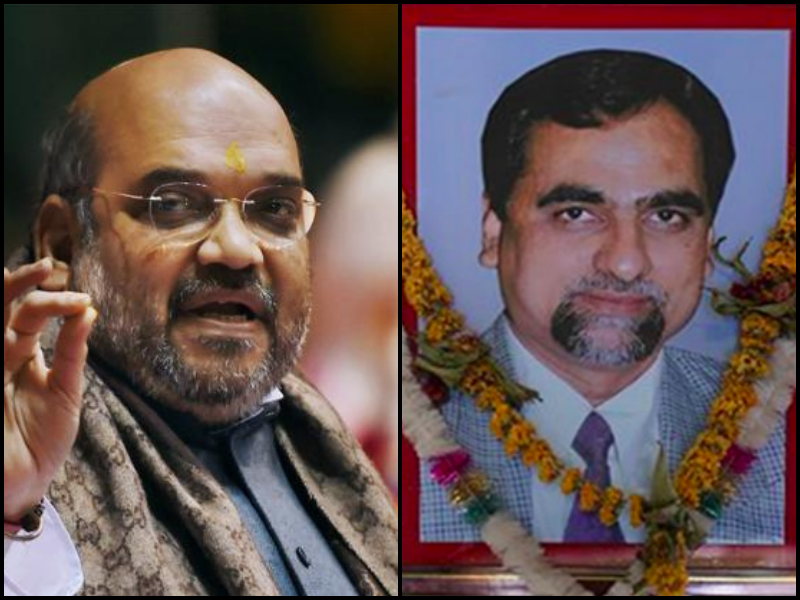 On December 1, 2014, the family members of Loya received calls informing them that the 48-year-old judge had died after suffering a massive cardiac arrest. Less than a month after that, a replacement judge ruled that Amit Shah had no case to answer and discharged him before the trial had even started. The discharge of the BJP president wasn’t appealed by the CBI, which was the prosecuting agency in the case. The CBI’s failure to appeal was considered highly unusual given the fact that it had investigated the case – involving the ‘encounter’ killing of Sohrabuddin and his wife Kauser Bi – following directions from the Supreme Court. M.B. Gosavi – who took charge after Loya – began hearing Shah’s application for relief on December 15, 2014, and concluded hearings two days later on December 17, reserving his order. Loya was appointed judge in the case weeks after the earlier judge, J.T. Utpat, was transferred from the special CBI court. Piqued by Amit Shah’s repeated failure to appear in court, Utpat had ordered the BJP leader to present himself on June 26. But one day before that, on June 25, 2014, he was transferred to the Pune sessions court. According to Mihir Desai, lawyer of Sohrabuddin’s brother, Rubabuddin, Loya was keen on examining the entire chargesheet – over 10,000 pages long. Desai further told The Caravan that on October 31, Loya questioned the absence of Shah in court during a hearing and instructed his lawyers to ensure that the BJP chief was present when he was in the state and scheduled the next hearing for December 15. While upholding Shah’s plea to be discharged, Gosavi on December 30 said that the CBI had implicated him for political reasons. Since then, 11 more persons – mostly senior police officials from Gujarat – have been discharged from the case. The discharge of Shah came about a month after Loya’s death, which the hospitals had concluded was due to natural causes. His family now disputes that claim, pointing to various discrepancies in the manner the post-mortem report was prepared, the condition of his clothes and body, the time of his death and the wiping clean of his mobile phone data.